An inspiring article on how to motivate yourself, from the "Lessons From a Baby" series. 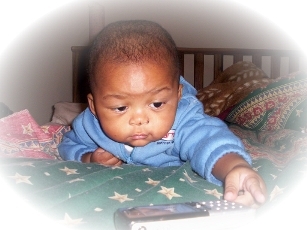 One evening, when I was about to go to bed, I noticed our son, Shiza, trying to reach out to grab my cell-phone. The phone was just a few inches from him and he had his left hand stretched out towards it. He had a look of intense concentration on his face. There were other objects on the bed which were within reach, but somehow the phone got his attention. Watching him trying to get it, I had no doubt from the look on his face and the way his arm was stretched out that, at that time, grabbing the phone was the only thing on his mind. He hadn’t learnt to crawl, so the best he could do was to “stretch” himself towards the phone whilst lying on his belly. My son, Shiza, reaching out for my phone. I was tempted to give it to him, but somehow felt that it was good for him to try and get it on his own. After a few minutes though, it was clear that the phone was just too far for him to reach. I moved it a little closer and he made a small effort and got it. I thought to myself “hey, he has started setting goals already!” Yes, I mean that. It may seem small, but when he started reaching for the phone, to him it was a worthy goal. He decided that he wanted the phone. He was able to focus on it and decide on his own that stretching out was the best way to get it. I found that fascinating. At 6 months old he was able to decide what he wanted, decide how to go about getting it and even able to focus all his attention and energy on getting it. Talk about beginning to motivate yourself! I don’t know about you, but I think he was doing a lot better than most adults! Over time he found he had other means to reach out and get things. Instead of just stretching out he could wiggle on his belly and get closer to the object. Soon enough he could crawl to the object. There is something to be learnt in this. When you decide to do something it is not necessary to immediately think about how to go about getting it. Sooner or later, once you start the project, you will find there are other ways to get what you wanted which you did not and could not know when you started. So the first step to motivate yourself is to decide what you want. If you want nothing then you do not need motivation and motivation will be harder to get. 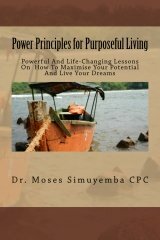 Many people think it is the other way round, that first you get motivated and then decide on your goals. But actually you are more likely to get motivated once you know what you really want. Deciding what you want is always the most important step to motivate yourself. “How” comes later and, if you ask me, is the easier part. It did not take long for me to notice, however, that Shiza would lose interest in whatever he had been trying to get soon after getting it. Once he had it in his hands he’d bang it around a little, see if it did anything interesting and move on to the next object. Isn’t that just how life is? No sooner do you get the Mercedes Benz C-Class than you decide you want a Porsche next. Somehow having the object is not as motivating as striving to get it. Once one goal is accomplished, you want to reach out to the next. I think that is healthy. In pushing ourselves to get something better we are always redefining our boundaries and pushing the bar higher and higher. Don’t get me wrong, I’m not saying that you should not be happy with what you have or what you have achieved. I am saying no matter what you have or what you have achieved, you should realize that you can always do better. I think also that you should try to do more, not so much for the thing itself, but for what it does to you when you set a goal and achieve it. So to motivate yourself you need to continually challenge yourself. Once you attain your goal, set another more ambitious goal, keep aiming higher. Every time you stretch yourself beyond your comfort zone, something about you changes. You grow. Every time you grow, you are irreversibly “stretched” to a new level of thinking and being. Many people are living corpses today because they have stopped growing. They wonder around in life aimlessly. They could live another 10, 20 or even 50 years, but they might as well be buried today because there is nothing worthwhile they are going to do with that time. They just exist. They’re just passing time. “I ain’t goin’ out like that.” Every year that I live I want to do something I could not do the previous year. Every year has got to be better than the previous one. Otherwise, what’s the point? That is my philosophy, and I hope you will make it yours if you haven’t already. Reach out – set your goal, focus on it until you achieve it and then…set another goal! The harder the better. Never stop reaching out, that is how to motivate yourself. Never stop growing. Never stop living! 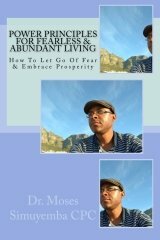 I hope you enjoyed this article on how to motivate yourself and would like to read more then please check out "Lessons From a Baby" This motivation essay on trusting God will also inspire you.